There's lots of cities and towns in PA to visit on a weekend getaway, girlfriends vacation or golf getaway with the guys. Visit Pennsylvania amish country, central PA, the Laurel Highlands area and more when you visit the state. You'll find the Pennsylvania Dutch area more laid back as you go back in time. The central mountain region offers lots of outdoor beauty. 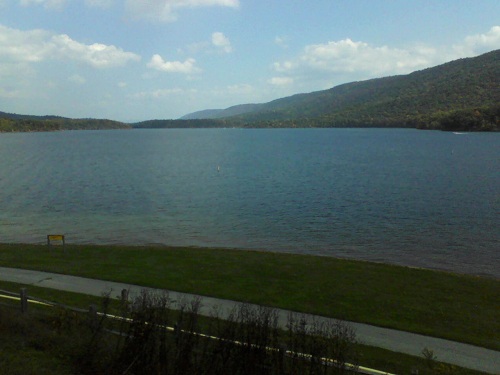 We have a good many state parks that offer swimming, boating and picnics. Bushkill, in northeastern PA, offers visitors beautiful water falls. Bring a camera when you visit! Bedford Springs Resort is a nice side trip if you're getting on or off of the Turnpike. You can also connect onto the turnpike in Breezewood. We love to eat at the Bob Evans there. It has a nice gift shop and country store located in the restaurant. These cities and towns start with the letter "B" and will give you information on each one. Have fun discovering all that the Commonwealth has to offer!